And it all started with a poor shopping experience… One afternoon Jonathan Shokrian went shopping for a pair of underwear. Walking through the department store he grew irritated when he couldn’t find the men’s section. When he did find it, the selection of briefs was mind-numbingly boring. At that moment, an idea struck him: he would transform his travail into an online experience that would combine wit, style, and comfort to redefine how people shop for intimates. He would set out to make the world’s most comfortable underwear, delivered straight to his customers’ doors. MeUndies began as a subscription underwear service and has now reached its fourth year, reporting a 3x growth year-over-year. This subscription model is part of what makes them unique in comparison to other more traditional underwear retailers which now make up 20% of their customer base. Continual introduction of new designs is a necessity as the brand looks to grow its subscription program. Currently 40% of the retailer’s revenue comes from its monthly subscription service and the retailer needs to constantly release new prints, patterns and designs to ensure subscribers receive fresh and interesting products in their mailbox each month. This is a challenge, because there are so many color and pattern options. However, a clever Block Grid was used to display them all based on the size chosen. Thanks to this solution, it is easy to switch between sizes, colors and designs. The cart is also super simple to edit and the check out page allows you to complete your transaction quickly. Now all that is left is to wait for your new cool undies. MeUndies chose Spree for their underwear e-commerce. The flexible and scalable open source solution proved to be a good match as it is able to easily support a business model based on a subscription service. Spree integrates well with many ecommerce payment processors and the development team can quickly set up a recurring payment system and shipment system. 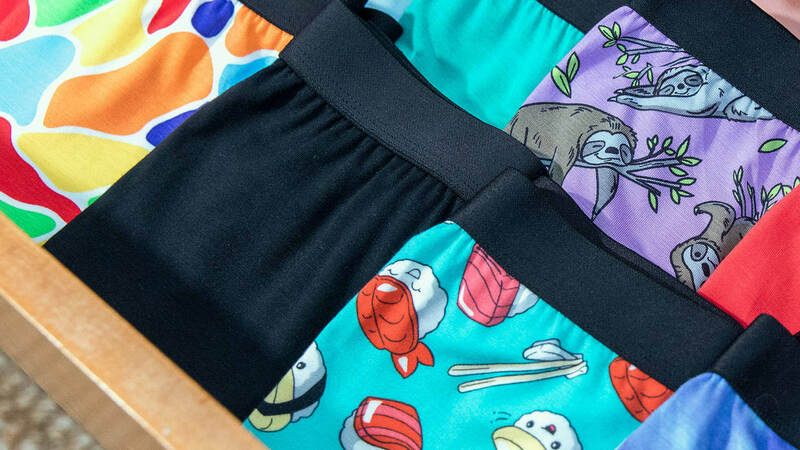 MeUndies sells comfortable, sustainable underwear and offers a simple and fun online shopping experience. Nearly half of the company’s revenue comes from its subscription service, a very innovative solution when it comes to selling fashion, especially undergarments. They use Spree Commerce for their eCommerce platform as it can perfectly support their business solution.